If you're experiencing problems downloading updates from Windows Update, don't worry -- it's not just you. 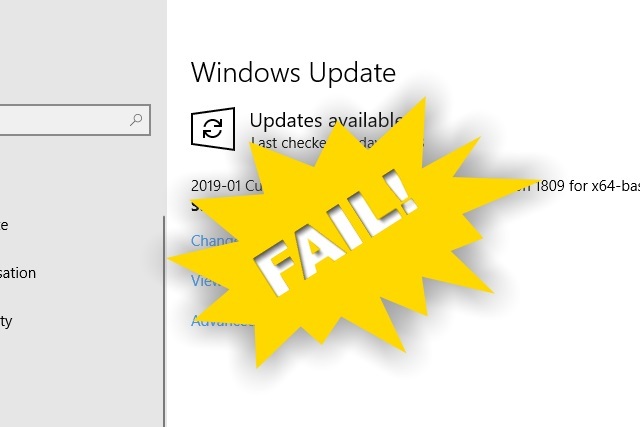 Windows 10 users started to complain about problems with Windows Update last week after their computers displayed the message "We couldn't connect to the update service". While it initially appeared to be an ISP-related DNS issue, the problem was later determined to be with Microsoft. Despite an apparent fix, many people are still unable to download updates. As updates are generally handled in the background, the issue is only really affecting Windows 10 users who like to take control of updating their computers by performing manual checks. Some people found that by changing their DNS settings they were able to use Windows Update without problems -- but not everyone. As reported by Bleeping Computer, even people who switched to Google's 8.8.8.8 DNS service or 1.1.1.1 from Cloudflare continue to experience problems.